What are your legal rights when it comes to buying a leasehold property? Many people are hesitant to buy a leasehold flat, with concerns about the length of the lease, management rights and nasty hidden charges. But should these fears really stop you from buying a leasehold property? When you buy a leasehold property the key thing to remember is that what you are buying is a lease on the property, rather than the property itself. The property and land is owned by the freeholder, or the landlord. Some of the major concerns which make people wary of investing their money in property on a leasehold basis, can be eased simply by knowing your legal rights, and having the lease and the management structure carefully checked. If you are considering entering a lease, knowing your legal rights can not only put your mind at ease, but will help you plan for the future and avoid unnecessary complications down the line. Not owning the land on which your property stands is perhaps one of the main concerns for anyone considering buying a leasehold property. However, this should not put you off investing in what could be your dream property, as there are laws in place to protect you as the leaseholder. A big worry may be that the duration of your lease will impact upon the resale value of your home. However, this only becomes a danger once the lease has less than eighty years remaining, and this can be easily avoided by careful planning and extending your lease ahead of time. After you have owned your property for two years you will be eligible to extend your lease by ninety years, plus the present unexpired term, all at a peppercorn rent (that is rent free). This should be no problem as long as your original lease was for more than twenty-one years. Therefore, it is essential that your solicitor tells you the duration left on the lease when you take it over. 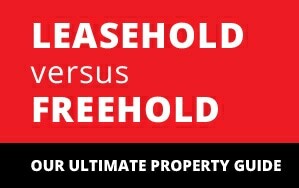 Another concern may be that the freeholder could decide to sell the freehold while you are in residence. Should this happen, you will be given the first right of refusal, whereby you will be able to buy the freehold of your home before it is offered to anyone else. 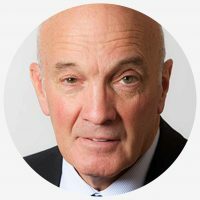 If there are any disputes with the freeholder concerning your lease at any time, you can always appeal to the Leasehold Valuation Tribunal. As a leaseholder you do not own the land your property sits on, and so are not responsible for maintaining it. This is the landlord’s job. As a result you will be expected to pay a service charge. Ground rent is another cost which you might want to consider, but this cost can only be increased if stipulated in the lease. As long as you do your research and make sure that you are aware of these costs before you enter the contract, there is no reason to let them put you off. You have the legal right to ask for a breakdown of how your money will be spent and how these estimated costs have been calculated, as well as having the right to see any supporting documents, such as receipts. Before buying, your solicitor should ask to see the last three years service charge accounts. These will give you details of the amount attributed to your flat. Your solicitor should also check if any unusual expenditure is contemplated within the next 2/3 years, which may result in a dramatic interest in the service charge levy. If at any point you think that any of these costs are unreasonable, then you have the right to challenge them at a tribunal. Another concern as a leaseholder might be that you are not in control of the building itself, and in particular the maintenance of it. If you are unhappy with the management of your property at any point you can apply for the right to manage, whereby you would be entitled to take over the management of some the building. This is called enfranchisement. To qualify for enfranchisement, the “qualifying tenants” must own at least two thirds of the flats in the building – a qualifying Lease must have been granted for terms of at least 21 years. A qualifying tenant cannot own more than 2 flats in the same building. The participating tenants must be qualifying tenants and must own at least half of the flats in the building (and not more than 2 flats each). A building with four or less flats and a “residential landlord” will not qualify for enfranchisement. A landlord can only stop enfranchisement in very exceptional circumstances and, even then, usually only with the consent of the Court. The cost of enfranchisement will depend on whether Leases have more or less than eighty years left to run and upon whether all of the qualifying tenants participate. As long as your lease has over eighty years left on it and the building is well managed, there should be no impact on the value of your home when it comes to selling. In order to transfer your property to the new leaseholder you will have to fulfil a number of requirements, as per your lease. If you bought your home through a Housing Association or developer they should be able to help you here, liaising with solicitors and making sure that these requirements are met. If you know your legal rights and the lease and management of the building are carefully checked, then buying a leasehold property is much less of a worry than many people might think.